Sauries. Sort of looks like "Sardines", but it isn't. Different deal altogether. Delicate fish in a mildly sweet soy sauce. These were sort of skinless, but had a few bones. Bigger than good sardines, but smaller than bad ones. Texture is flaky and firm. Very good, but no rating. 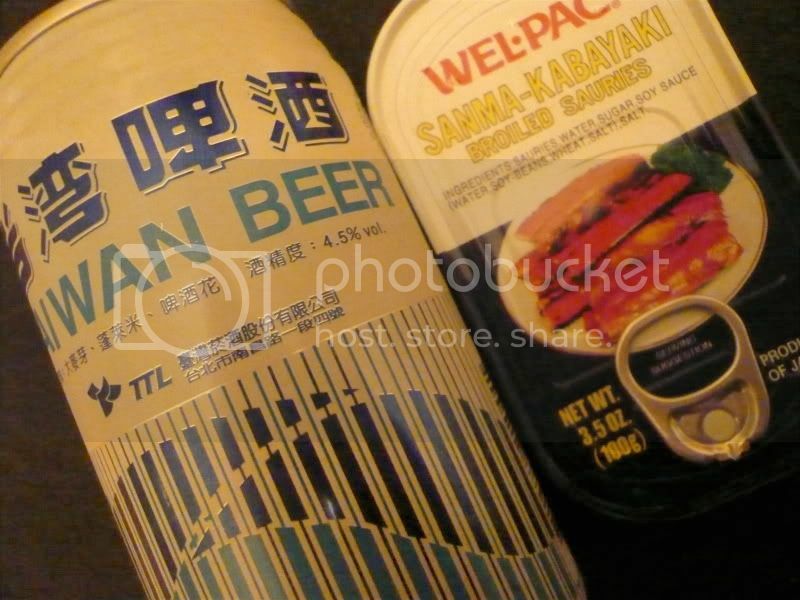 Taiwan Beer? If you can find it, buy it. Not in the bottles, either. Get the little blue and white cans. They don't taste like much until you drink them with spicy food. Then they taste like mango and bubble yum. And flowers. Some kind of flowers. Here, for your viewing pleasure, is the nicest presentation I've ever seen. Little Japanese sardines. Truly spicy, since some of you were looking. I recognize those Japanese beauties. They are one of the few 'exotic' sardines I can find around here. They are excellent: nice firm texture and nice looking meat. The Japanese know their fish. I cannot make out the brand name (as I do not read Japanese). The only thing I could glean from the tin was that they were imported by JFC Imports. I love how it's brewed by the "Taiwan Tobacco and Liquor Corporation". Goes with the generic packaging. Hey Sashimi, you have good taste. These are some of the best. Iwashi Abrazuke Tougarashi Iri "SHIDA". 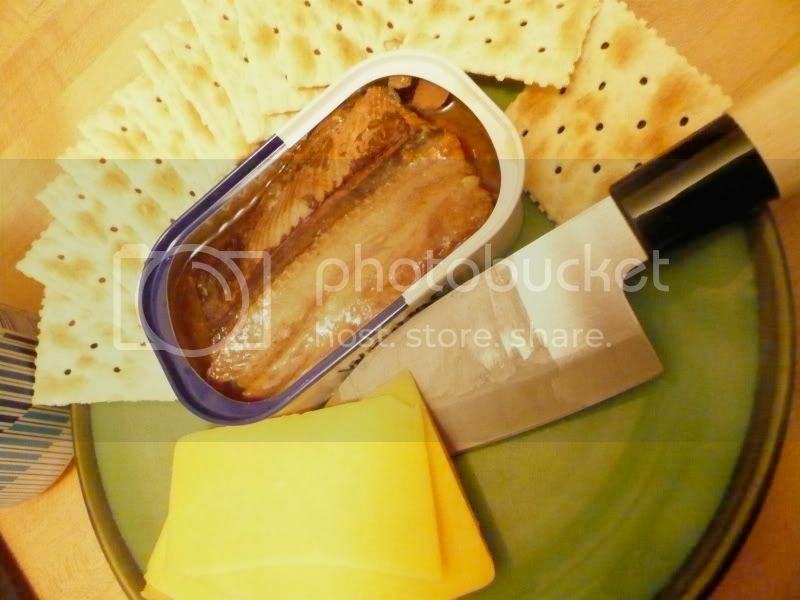 If I'm not mistaken, those Japanese sardines were the only ones so far to merit a 5 tin rating by the Society (although I think oldschooly retroactively awarded Pollastrini--or was it EVA?--a 5 tin rating). 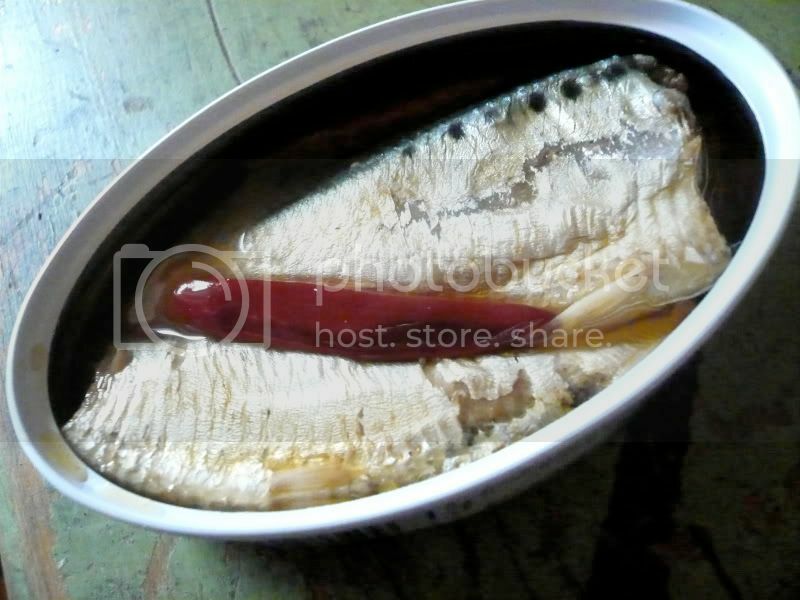 Anyone try Ligo brand sardines? They are pretty cheap, but I wanted to make sure they aren't horrid before picking some up. I've got a couple of Ligo in the pantry I've been avoiding. So many more inticing tins right next to them. Maybe, I'll pop them tonight. I went back and added a tin to the Pollastrini. They are The Best I've tasted. Stay tuned for another post on them. Let's hear about those Ligo's, fellas. Those Pollastrini's have me really intrigued but they are damn hard to find, even online (not to mention expensive). My only recourse may be having my friend in Italy track some down for me. Looking forward to the Ligo review. It seems they are considered Filipino comfort food. I'm on it. Thanks Sash. I've seen those Ligo's around.